Activists hope that Putin will show mercy to Russian nationals "who were never there". 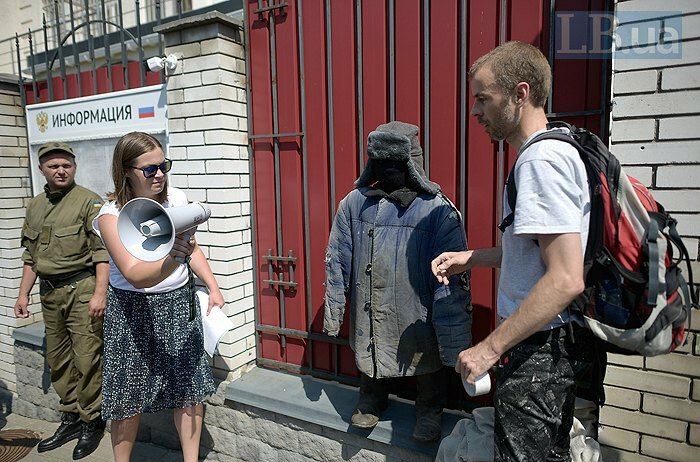 A rally under the motto "Take yours – give us back ours" in support of an exchange of prisoners was held outside the consular department of the Russian embassy in Kyiv, according to an LB.ua correspondent. 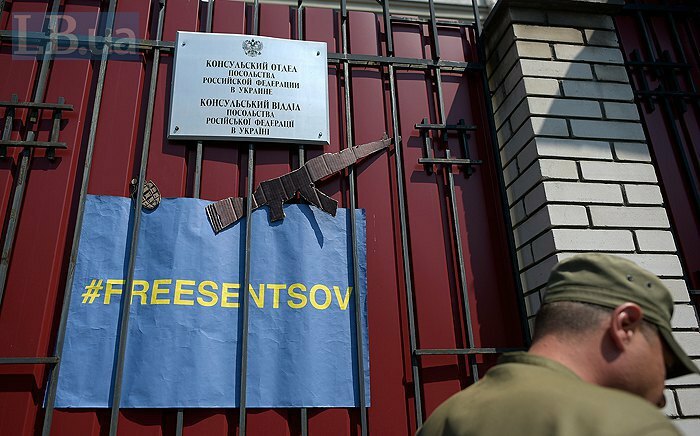 Its organizer, the Media Initiative for Human Rights, collected information about Ukrainian political prisoners in Russia and Russian nationals detained in Ukraine. "Today Ukrainian rights activists know about at least 19 Russian nationals who were detained in connection with the war and are accused or have already been convicted for involvement in illegal paramilitary groups, espionage, aggressive warfare or under different articles of the Ukrainian Criminal Code. 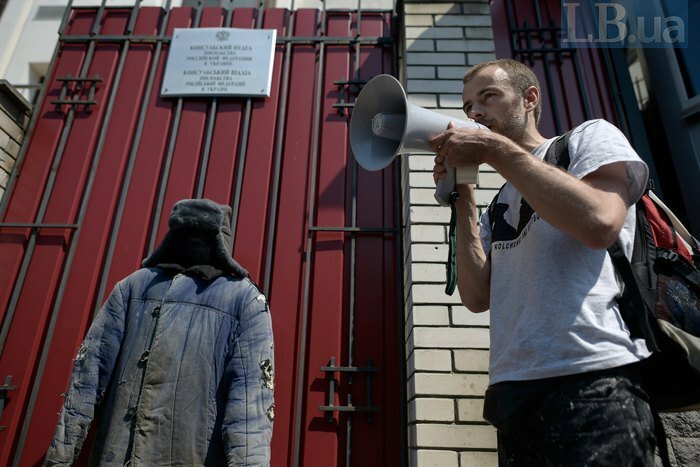 Russia does not know their names and takes no interest in their fate," the activists say. 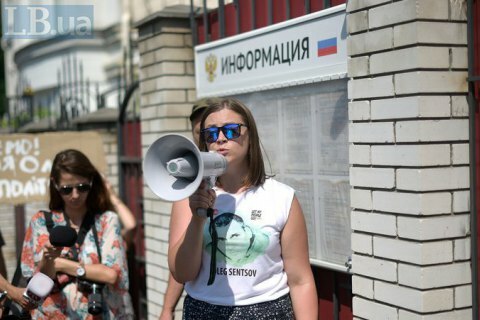 They are using this rally to draw attention to this hardly discussed issue, hoping this could prompt a possible release and rescue of Ukrainian film director Oleh Sentsov and other Ukrainian nationals held in Russian prisoners for political motives. No consular representatives came out to talk to the activists.